This means that you have exceeded the USB bandwidth capabilities of your Xbox 360 console, and that you may have too many USB accessories attached to it. To resolve this problem, try testing your USB accessories and detaching them from your Xbox 360 console. Turn off the Xbox 360 E console. Turn off the Xbox 360 S console. Turn off the Original Xbox 360 console. 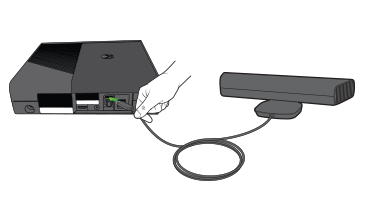 Make sure that the Kinect USB connector is plugged in to the back of the console. One by one, plug each USB accessory back into the console to see if one of the accessories causes the problem. If you continue to get the Kinect USB error message, you might need to reduce the number of accessories attached to the console. If you’re still experiencing the problem, contact Xbox Support by clicking the "Contact Us" link at the bottom of this page. Would you like to contact Support regarding the "Error C0051010 occurs when you use your Xbox 360 Kinect sensor" issue you were reading about or a different issue?